Worker abuse can take many forms – from forced labour to being misled about a job – and often arises when employers take advantage of people who are in vulnerable situations. It is typically made worse by a lack of representation in the workplace and can also come as a result of human trafficking. In Canada, migrant workers and refugees are especially vulnerable to abuse. Below you will find a survey that can help you determine whether you are being exploited at work. The survey was developed in partnership with Legal Assistance of Windsor’s We Fight Human Trafficking Program, as well as the FCJ Refugee Centre’s Migrant Workers Mobile Program. 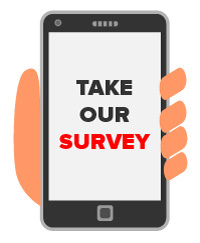 If you think you are being abused after taking the survey, fill out our contact form and we will refer you to services that can provide you with more information and help you improve your situation. For migrant workers, this could include gaining an open work permit to escape an abusive employer. 1. Were you deceived or lied to about a better job or living situation than you currently have? 2. Do you feel that your working conditions are unreasonable / unsafe? 3. Do you feel that your housing conditions are unreasonable / unsafe? 4. Are you being isolated from others? 5. Are your movements, finances, or identity and travel documents being controlled by someone else? 6. Are you being pressured or forced to do something you do not want to do – such as theft or petty crime - for someone else’s profit, or to remain in a living or working situation that you do not want to be a part of anymore?